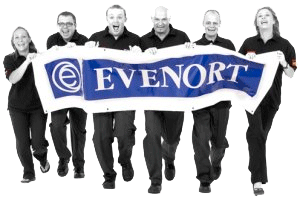 Incorporated in Sheffield 1982, Evenort's commitment to a continuous process towards manufacturing excellence, has established the company as a reliable partner in the processing of Stainless Steel. The experienced sales team are willing to help with all your requirements large or small. Our promises are backed up by an impressive production facility working 24 hours a day, with experts in every department, and all the appropriate quality approvals for today's market. Our "Can Do - Will Do" approach combined with a culture of superior service ensures that Evenort remains "Engineering Success".